Depending on where you work and the nature of your work, you may find that you have a dress code to adhere to. If you work in a high-powered professional role, it’s likely that your work ‘uniform’ will consist of a smart suit, shirt and a tie for men, whilst women may be required to wear skirt suits or smart dresses and blouses. Tradespeople on the other hand should wear heavy duty casual clothes that allow ease of movement and incorporate high visibility elements to increase health and safety. Some offices adopt a policy of smart casual dress code, meaning that employees are allowed to wear some more casual items but they have to have a smarter edge. So how do you go about picking out a casual work outfit? As we discussed above, workwear doesn’t have to be purely smart. You’d be forgiven for assuming that work clothing is all suits and ties, but when you consider the sheer diversity of jobs and job industries, you begin to realise that just as every company is different, so differ the dress code policies. Many offices also have what’s known as ‘casual Friday’ where all employees, including management dress down in a bid to welcome the oncoming weekend. Whilst the idea of business casual sounds appealing, it can be a little confusing for most people. Many HR managers attempt to define the rules and set boundaries about what is smart casual and what is in fact, plain casual. However, it’s not so simple, as many people’s opinion about smart casual differs. Some people find the wearing of jeans inappropriate, whereas others say that jeans are fine as long as they have no rips and are not overly baggy. There are others still who feel that smart casual is somewhere in between a full-blown suit and jeans. They say that men should be able to get away with wearing trousers or khakis and a shirt with a collar. Women on the other hand can wear trousers or a knee-length skirt and a blouse or a shirt with a collar. Jeans and athletic wear are not permitted. It seems therefore, that there is a general lack of consensus about the notion of smart casual and that it can actually make deciding what to wear for work more problematic than having clear cut rules. Although a good indication is to see what other employees are wearing and try to match their style. Furthermore, if you find you’re receiving strange looks from the managers, it may be an indication to change your work attire. Let’s take a look at some examples of casual business attire for men. You should always choose shirts that have collars and make sure you tuck it in to your trousers. For business casual, it’s not necessary to wear a tie. If you’re totally unsure, it’s best to play it safe and stick to a white button-down shirt, although any colour of shirt is acceptable. When it comes to trousers, styles such as khakis, dress pants, trousers and corduroy pants are all acceptable. Jeans are generally not considered to be business casual although check with your employer if you’re unsure. It’s always better to be slightly overdressed than underdressed, so if you’re unsure about an item of clothing, it may be safer not to wear it and stick to the safer options. Rather than wearing a blazer, layer a jumper over the top of your shirt for a more casual look. Stick to formal work shoes in traditional black, grey or brown colours. Okay so now we’ve covered what is appropriate for men to wear, let’s focus on the rules for casual office attire for women. For a good indication of the sorts of styles you should be wearing, take inspiration from the men. Of course, as a woman, you’ll want to distinguish yourself in a way that makes you look both stylish and feminine. Try a pair of linen pants teamed with a fitted top. Avoid wearing clothes that are too tight fitting but opt for styles that fit your form and emphasise womanly curves. In terms of shoes, black heels are an obvious yes but make sure you keep a comfy pair of flats by the side of your desk to pop on when your feet start to hurt. Ballet flats are chic yet comfortable and make an ideal choice of footwear for business casual. The main thing to remember about smart casual dress codes is that it’s always better to be overdressed than underdressed. Oh, and if you have a client meeting, ensure you’re wearing your smartest clothes. Outsourcing is something a lot of companies do, but if you are new to the practice it can be confusing as you try to decide what you can continue to do within your own firm and what would be better if it was passed on to a specialist company. There are many benefits of outsourcing, as it can leave your staff members free to concentrate on other tasks that need to be completed in-house. It can also save enterprises money, while they are able to outsource their work either within the UK or to another country, which is known as offshoring. So, if you are thinking of outsourcing some of your office tasks then where do you start when it comes to deciding what to choose? Here is a list of some jobs that lend themselves well to this way of working. Many of the admin tasks required in an office are essential to keep everything running smoothly, but are simple to complete and do not require a great amount of skill. Things such as typing and proof-reading, producing presentations, researching and maintain tracking spreadsheets can all be outsourced, while your enterprise will maintain original files and documentation so that if anything were to go wrong, it could easily be fixed. Marketing is essential for enterprises, as it is this that helps to build the brand, establish public perception and promote the business. Without some form of marketing, companies would simply exist with no way of attracting business and establishing a customer base. Because of this, it’s essential that marketing is done correctly, which is why is it something that is well worth outsourcing, unless you can afford to employ your own in-house marketing team. 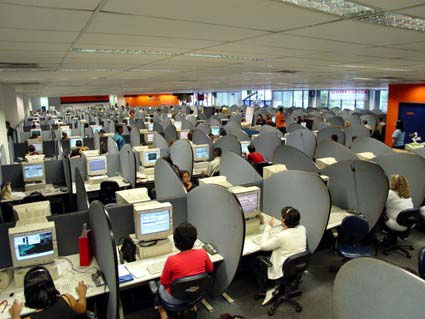 Call centres are perhaps one of the most often-outsourced tasks within enterprises. If your company is a customer-facing firm such as a retailer or a service provider, the sheer volume of calls you are likely to receive means you will need a large team of people to deal with customers satisfactorily. This is expensive and time-consuming, so in many cases it is better to employ the services of a specialist call centre provider. A live telephone answering service with Moneypenny could be one solution, or you can get in touch with a company that provides a full set of services. Whatever you choose, it’s important that you do your research and ensure your consumers the high levels of service you would expect. Like marketing, this is something that can be completed in-house if you can afford to employ your own team of accountants. However, there are many specialist firms that will provide a full range of services, such as billing, financial statements and tax preparation if you are self-employed. If you run a small business, you can rely on payroll processing services to deal with salary admin and the payment of wages. Accounting is something that you cannot afford to get wrong, so it is something that may be well worth outsourcing. Human resources encompasses a lot things within a company and depending on the size of your workforce, keeping on top of everything can be a challenging task. Management of things such as holiday records and personal data can all be outsourced to a specialist provider. As you can see, many aspects of running an office can be outsourced and, providing you find a reliable company, this can make your job a lot easier and improve the running of your company. 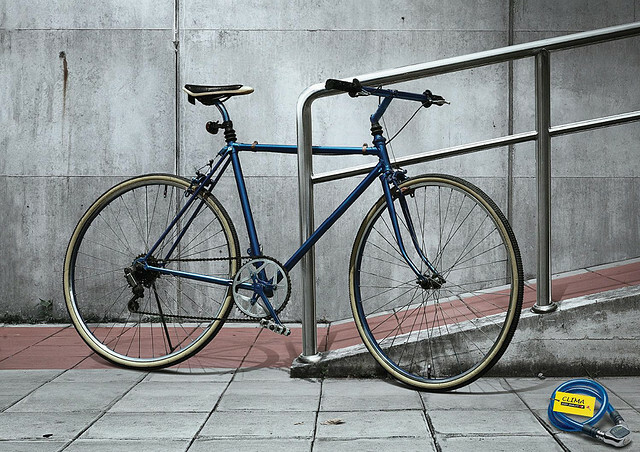 How much pollution could be prevented if we all cycled to work? Any regular commuter must surely have noticed that more and more people have opted to switch from driving and public transport to cycling over the last few years. There’s been a concerted effort on the part of central and local government to get more people to take up cycling. Employers have also been invited to participate by setting up a cycle to work scheme, which enables them to loan cycling equipment to employees. Employees can then, if they wish, buy that equipment at the end of the initial period at a low price. The physical and mental health benefits of cycling are well documented, but equally important is the impact it can have on reducing carbon emissions. In an era where it seems we’re all worried about our individual carbon footprints, it’s not hard to see why so many people are opting to ditch the car, bus, train or tram in favour of cycling into work. An article from Bikeradar.com makes clear just how much difference switching to cycling can make to the environment. It takes just five per cent of the materials used to manufacture the average car to make a bike, which gives you some idea of the difference taking cars off the road in favour of cycling can actually make. But there are more environmental benefits of cycling than just that. The article also points out that around a quarter of the UK’s carbon emissions come from road transport, which is rapidly overtaking industry as Britain’s biggest polluter. Around 70 per cent of air pollution in UK towns and cities is produced by road transport – whereas cycling produces absolutely no emissions whatsoever. It also points out that if all journeys of less than five miles were completed by bike rather than by car, 44,000 tonnes of CO2 emissions would be saved every week. This is the equivalent of heating 17,000 homes. Average rush hour traffic speeds in London stand at around 7mph, and reasonably adept cyclists can be expected to average around 13mph. This makes cycling almost twice as fast as taking the car. Another article from the Worldwatch Institute observes that the popularity of cycling varies quite widely in different parts of the world, but singles out northern European cities as being the global leaders in encouraging more people to take up cycling. According to a study from researchers at Rutgers University and Virginia Tech University, a number of cities in the Netherlands, Denmark and Germany report cycling rates of above 20 per cent for urban trips, with some reporting rates of more than 30 per cent. It wasn’t always that way, though. In fact, cycling in Amsterdam declined from 55 per cent of trips after the end of World War II to 25 per cent in the 1960s as a consequence of suburbanisation. From the 1970s, a series of measures aimed at encouraging more people to take up cycling were adopted in the city, including secure cycleways, traffic calming, and secure parking. As a consequence, 85 per cent of Amsterdam’s residents now say they ride a bike at least once a week. This is surely testament to what can be achieved by careful long-term planning. Business people – and designers in particular – love the idea of having something shiny and individual to leave as their calling card. The sheer capability of modern desktop publishing and design software packages means that just about any original idea can be transformed into a two-dimensional, wallet or purse-sized card which can be given out whenever appropriate. Vary your card from the usual staple of stock typefaces. You might, for example, want to include the card-holder’s name in a type of script designed to mimic handwriting. Be sure, though, that the important information – full address, email and website details – are in a typeface which is easy to read. Add a subtle, but distinctive border. This can be very effective in making it easy to find your card from among a pile of plain ones. It’s a good way of emphasising the details contained on it too. Vary the colours. If members of your workforce have differently-coloured calling cards, you might even bring out the inner collector in some people, and prompt them to want to build up their own set. Experiment with textures. You can use some embossed lettering or a logo to give a card a different feel, which will make it easy to pick out from a wedge of boring, 2-D designs. Include some distinctive, even unique, artwork. Technology has made it easy to reproduce any design, so why not adapt a shape you find especially eye-catching to make an original motif? How about trying a different shaped card? 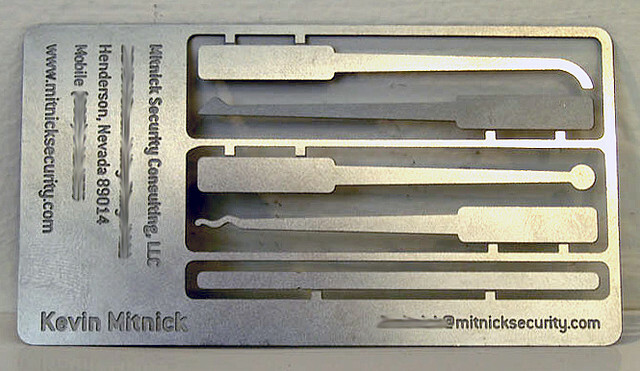 Nowhere does it say that your business card absolutely has to be rectangular. It does, though, have to fit into a wallet, so you could make it an oval shape or that of a perpendicular triangle perhaps. That way, it’s sure to stand out in anyone’s wallet or purse from all the more run-of-the-mill designs out there. Why not have a 3-D business card, in the shape of a keyring, coin-holder or similarly useful small device? If your business card has another use aside from the obvious one, then you’re well on the way to getting the attention you seek. Have a business badge, instead of a card – If you were a fan of pin or stick-on badges when you were younger, you could carry your enthusiasm through into coming up with an original business card idea. You don’t have to include all your relevant details on the outward-facing side of the badge, just as long as they are on there somewhere. Maybe your company logo will make an eye-catching badge design? Finally, how about not making your business card a card at all, but a sew-on patch? That way, you’ll certainly grab the attention, and again, you can break out of the usual conventions regarding its shape to come up with something that’s equally attractive yet still does the job of the traditional calling card.